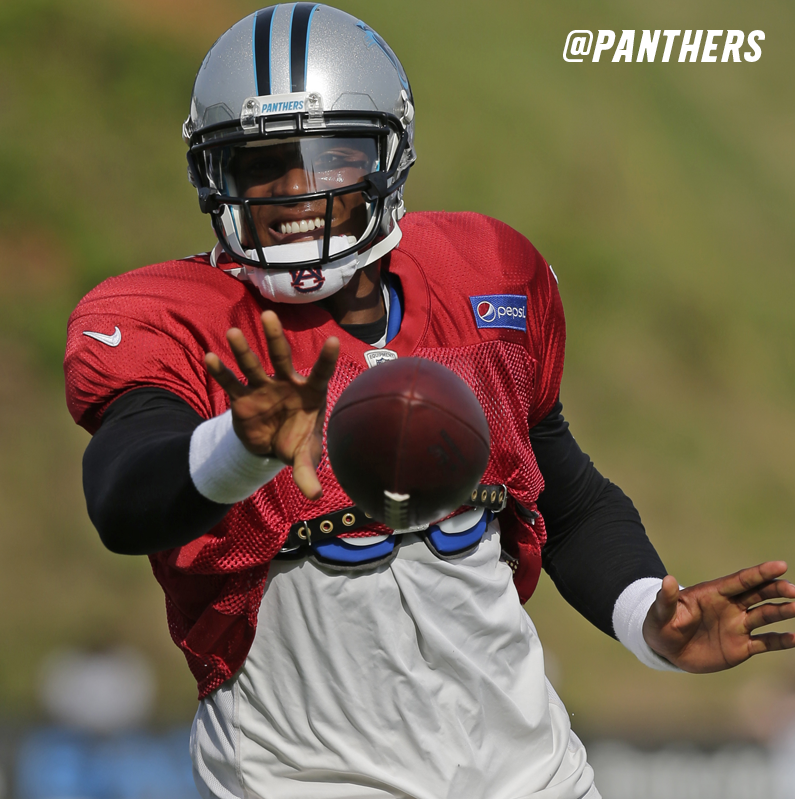 From today’s Carolina Panther’s practice… just like in May. If only the helmet and jersey matched. Oh, Cam. Related: Fantastic photos of Cam Newton autographing and giving his cleats to a fan after Panthers’ practice.